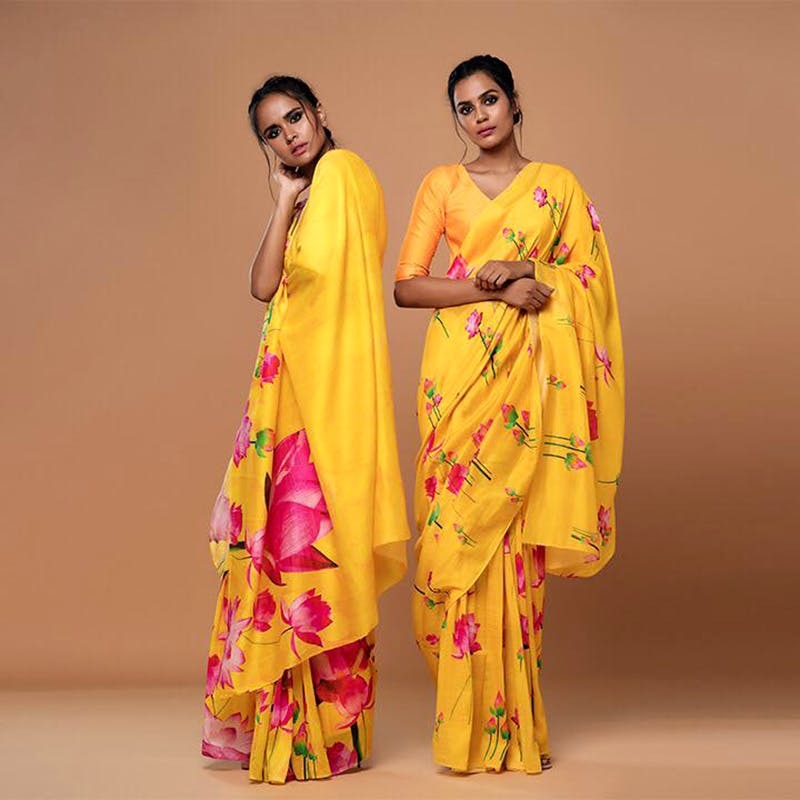 Celebrity stylist and designer, Masba Gupta's House Of Masaba finally opens doors in Chennai. Chennai is a saree loving city. While several brands and designers opened their store in the city. The one designers, we were all waiting for is Masaba Gupta. Finally, our fashionista's prayers have been answered. The celebrity designer is finally opening her flagship store in the city, at Khader	Nawaz	Khan	Road. And this one is even more special, because of House	of	Masaba	begins	its	glorious	10th	year	with	this new store in Chennai. Sprawled	over	1200	sq	ft,	this	is	the	first	exclusive	store	in	Chennai	and	second	in	Southern	India. If you have a wedding coming up, we are totally in envy of you bevcause the store houses a special	bridal	atelier	for	the	brides	to	unwind	and	shop	for	their	wedding	trousseau. Adding	to	all	the	latest	collections,	this	store	will	also	house	the	menswear	capsule	collection.An	all-white	decor, vibrant	and	bold	prints on the wall - paint	a	beautiful	& dauntless	canvas	that	is	in	sync	with	House	of	Masaba’s	design	ethos. Staying	true	to	its	offbeat	aesthetic,	the	store	also	features	their signature	cow	motifs	through	illustrations	in	the	trial	room	&	brass	cows	enhancing	the	walls	of	the	store. What caught our eye was the cash counter that is	adorned	with	the Masaba	caricatures. How cool is that? The wooden	accents	&	eccentric	gold	artefacts complete the contemporary	ambiance, giving it a very sophisticated, classy and elegant feel. We love the fact that the store, as well as the outfits, are a perfect blend of tradition	and contemporary. So the next time, you are looking to feel and slay like a diva, you know where to go? The store will be officially launching on January 5.